The emerging market for nonpsychotropic products from the cannabis plant will be the topic of the next “MTSU On the Record” radio program. 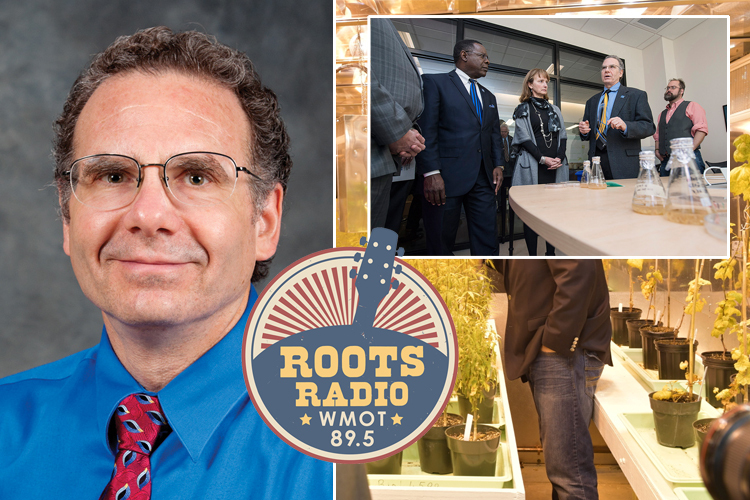 Host Gina Logue’s interview with Dr. Elliot Altman, a professor of biology and director of the Tennessee Center for Botanical Medicine Research at MTSU, will air from 9:30 to 10 p.m. Tuesday, March 19, and from 6 to 6:30 a.m. Sunday, March 24, on WMOT-FM Roots Radio 89.5 and online at www.wmot.org. Altman sorts out the difference between CBD, a safe nonaddictive substance unique to cannabis, and THC, the active ingredient which induces a “high” in the marijuana user. Both substances are being studied by scientists for their therapeutic properties. Proponents of CBD cite its possible use in relieving chronic pain, anxiety and other conditions. “THC is a psychotropic, and it’s being used as alternative pain management, very effectively so by the medical marijuana states,” Altman said. The Tennessee Center for Botanical Medicine Research has a $2.5 million, 10-year grant from Greenway Herbal Products to study cannabinoids.